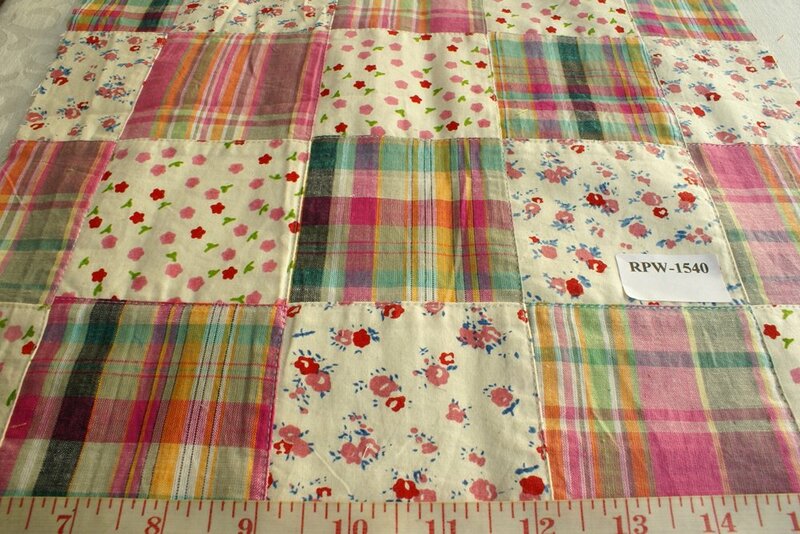 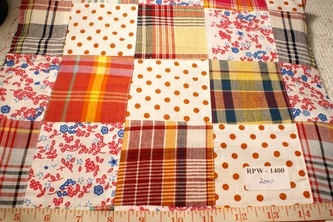 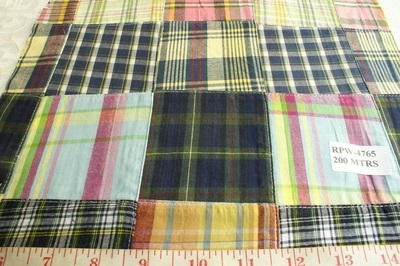 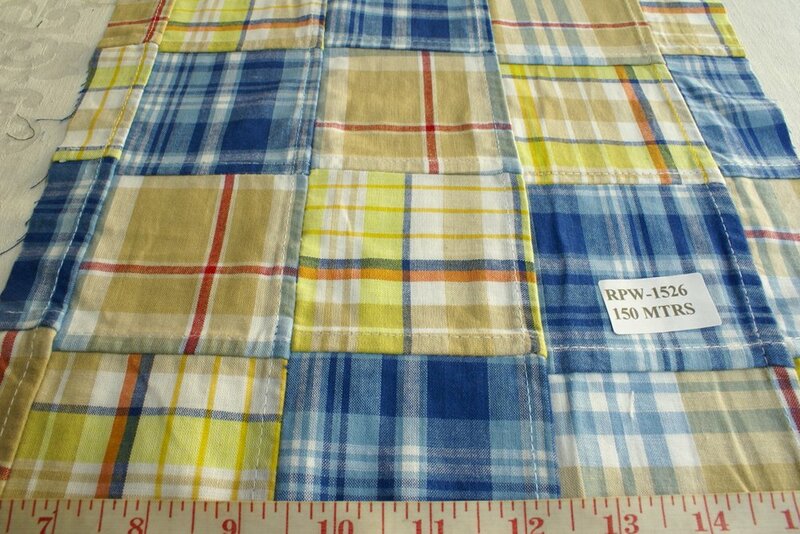 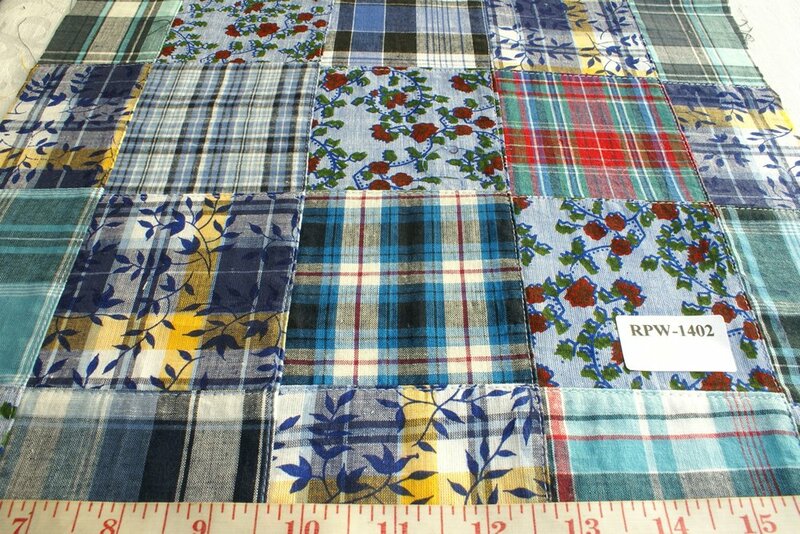 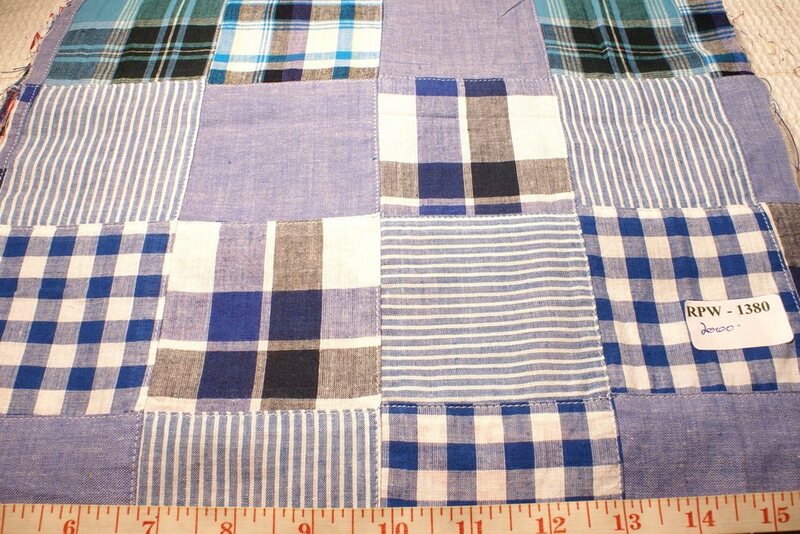 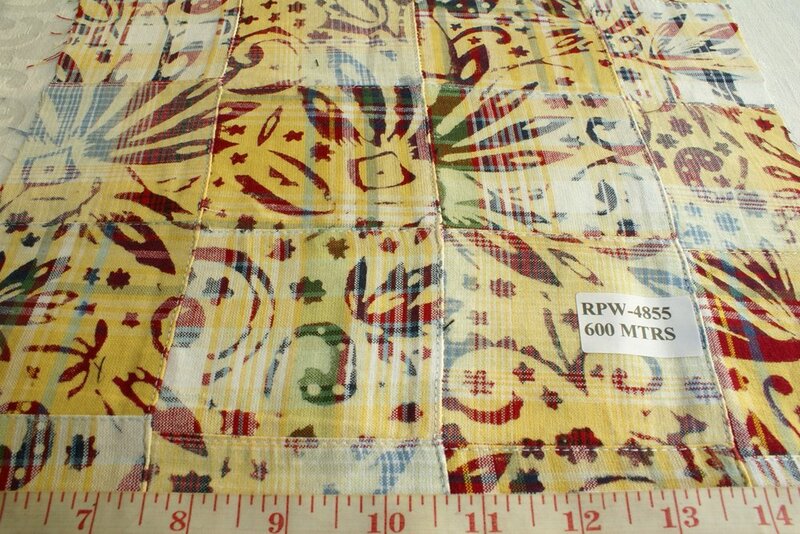 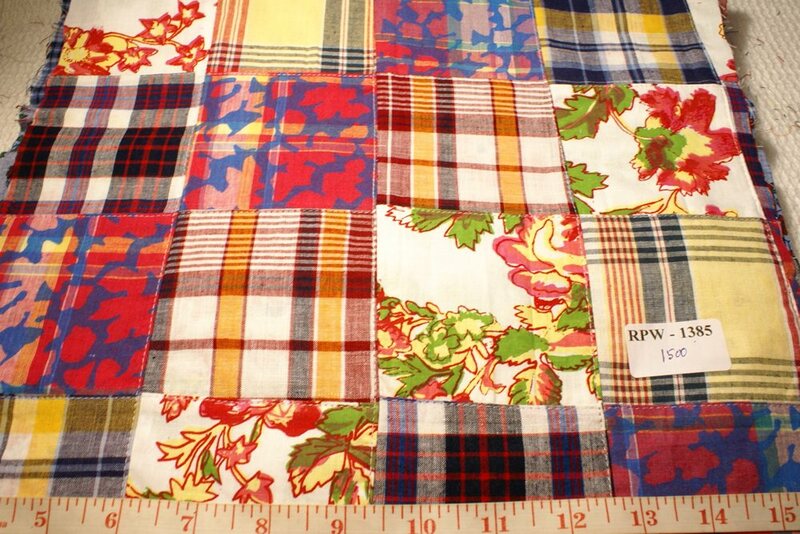 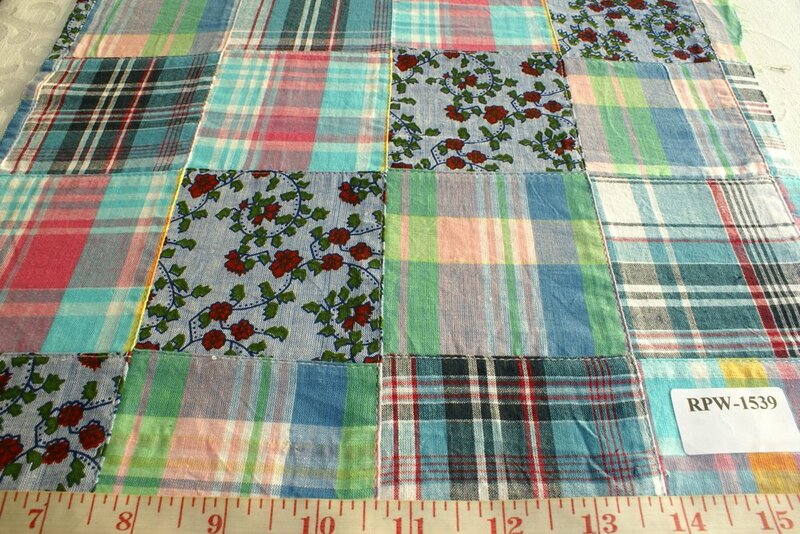 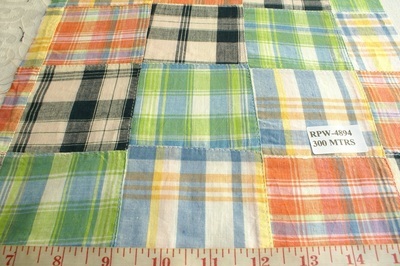 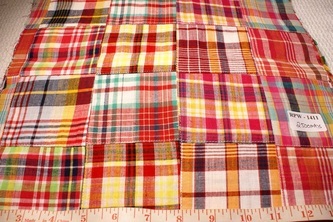 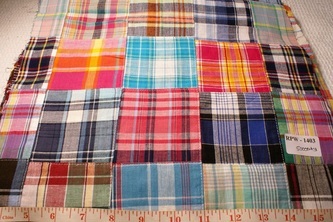 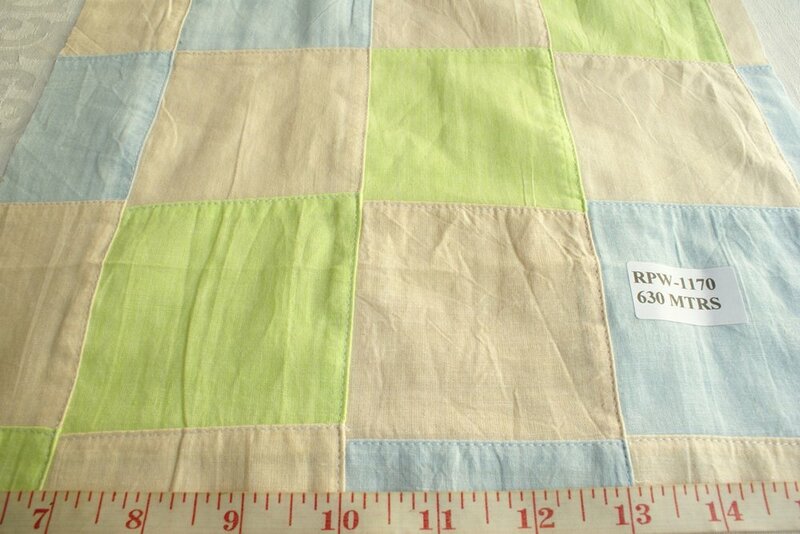 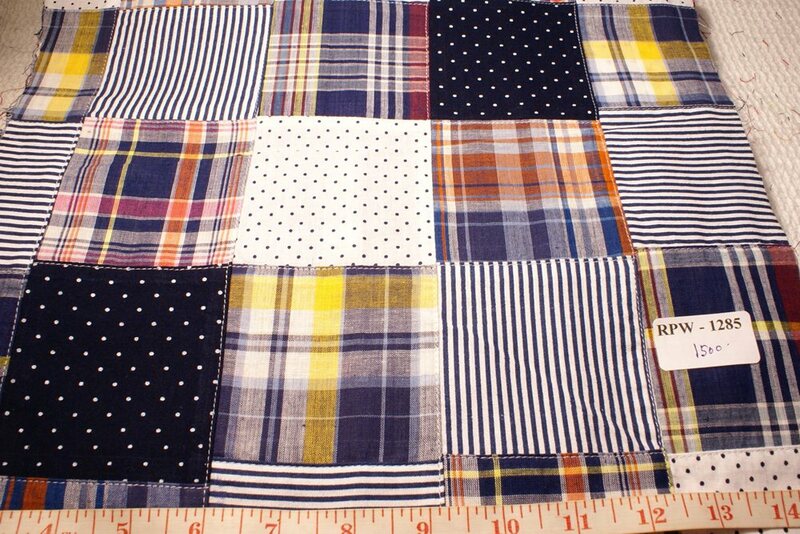 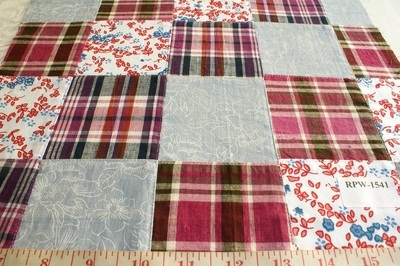 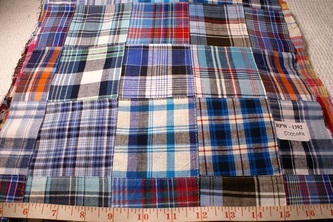 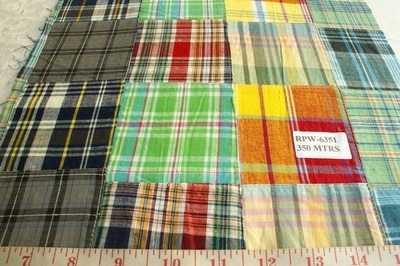 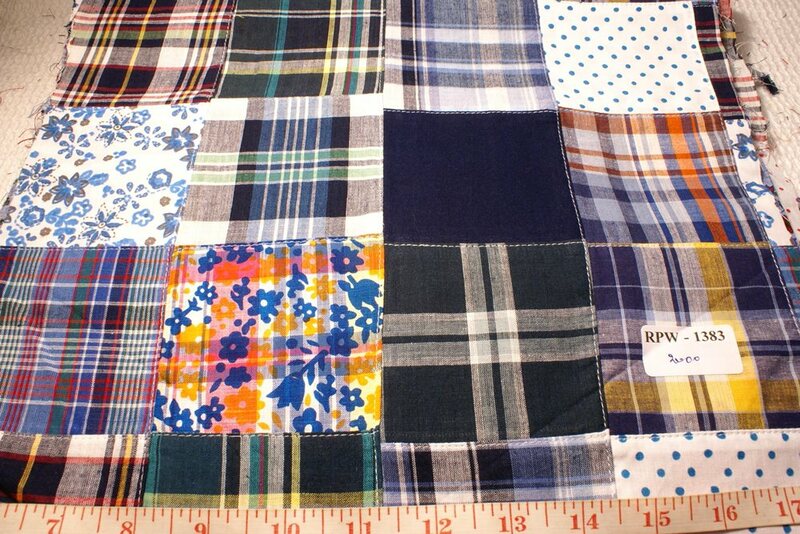 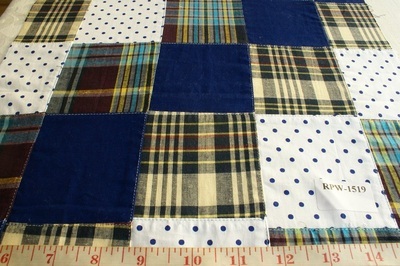 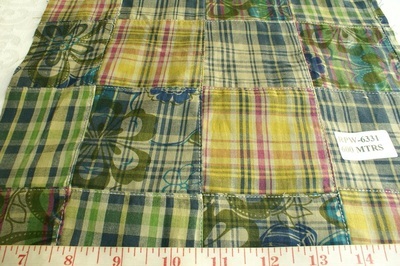 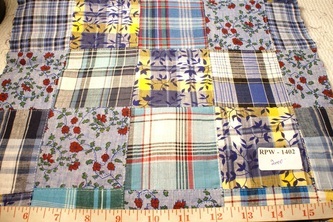 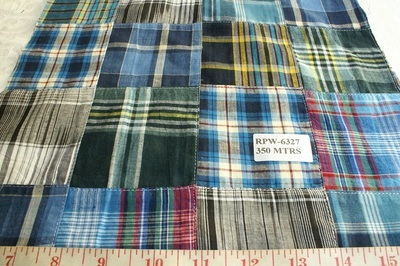 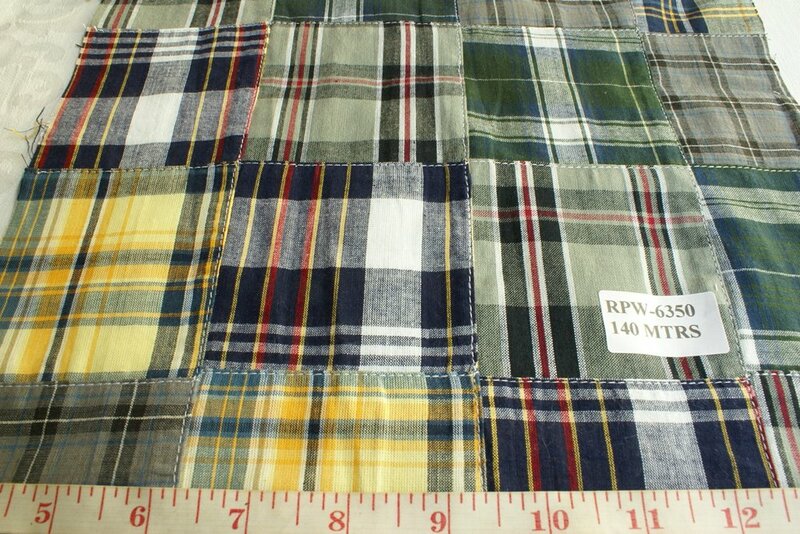 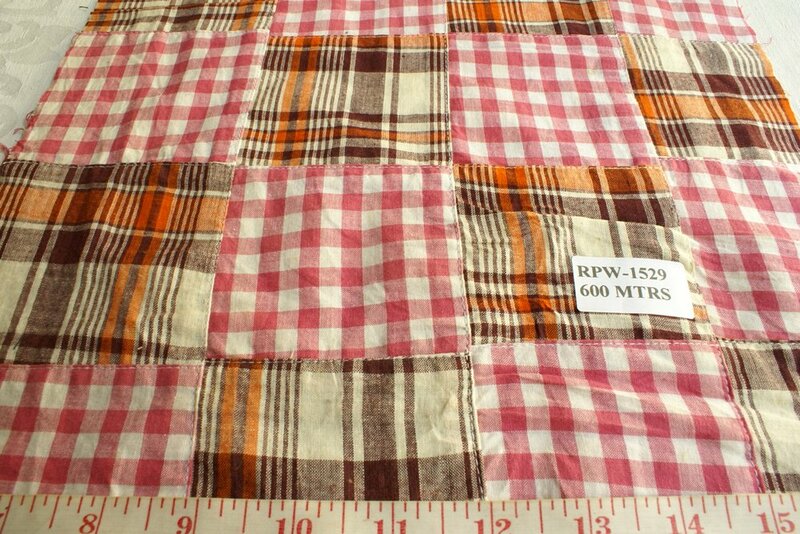 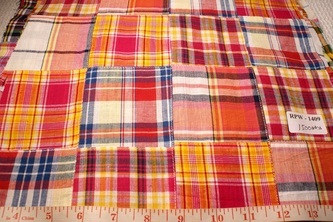 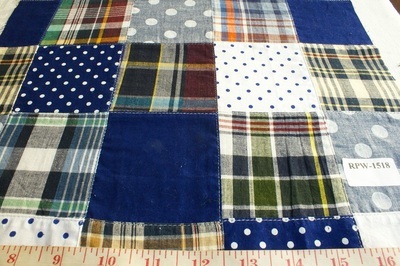 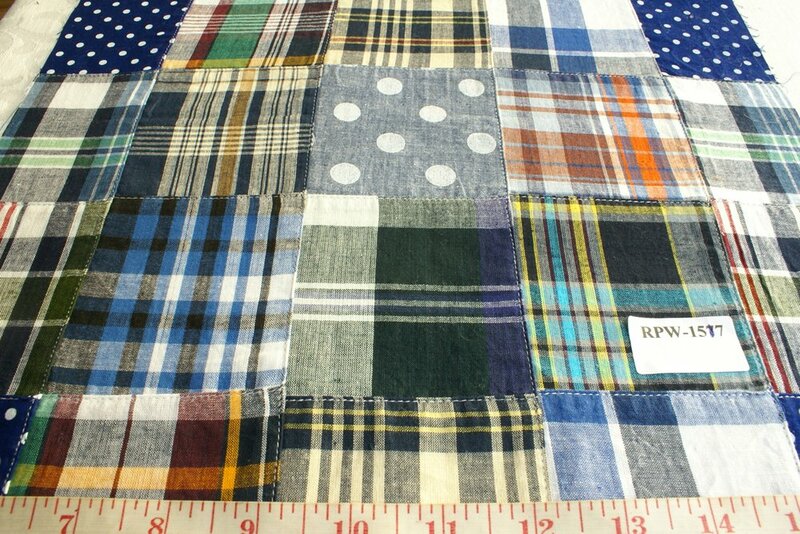 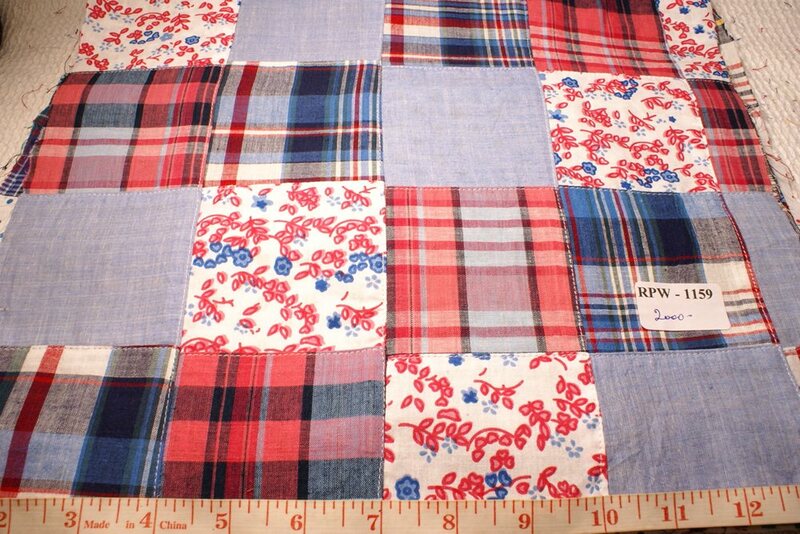 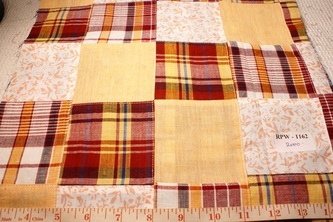 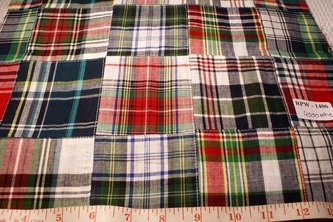 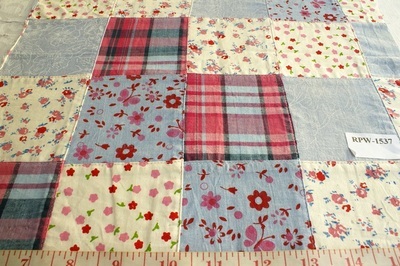 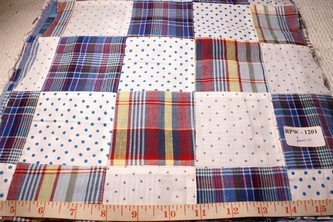 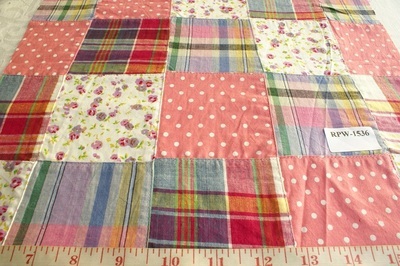 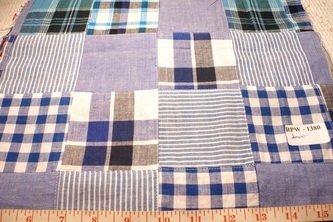 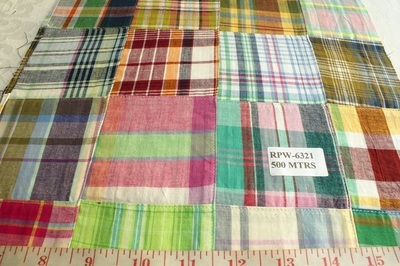 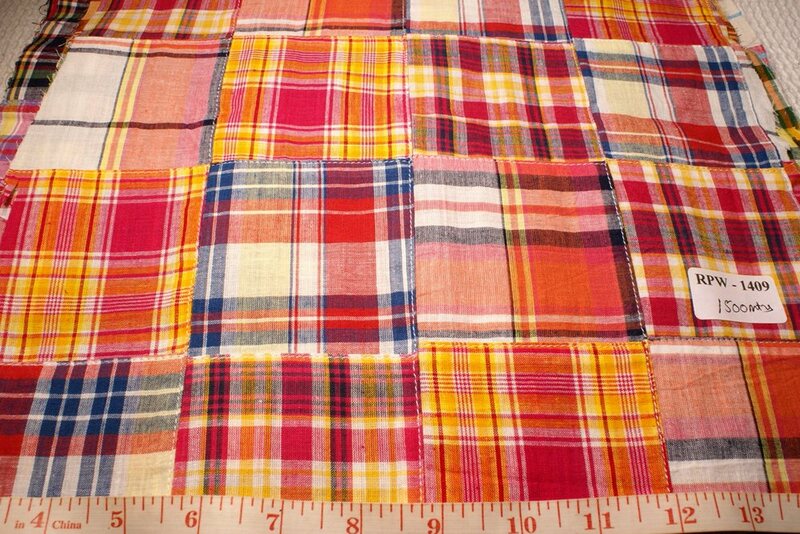 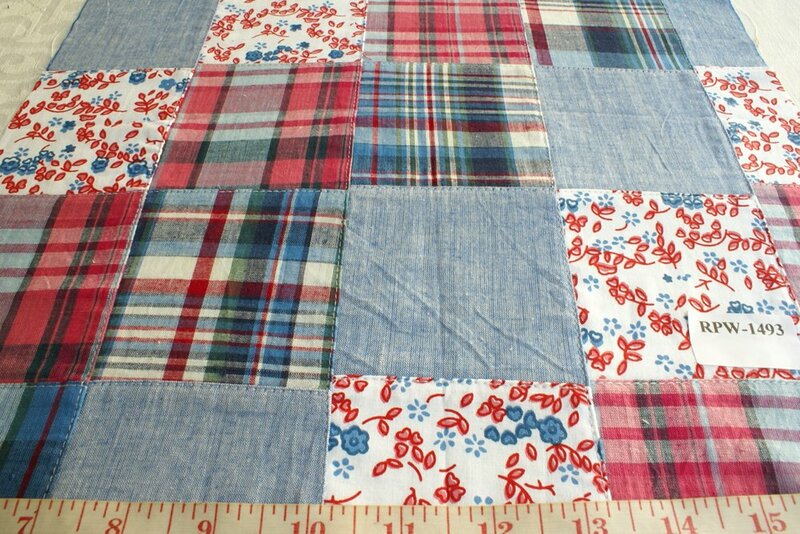 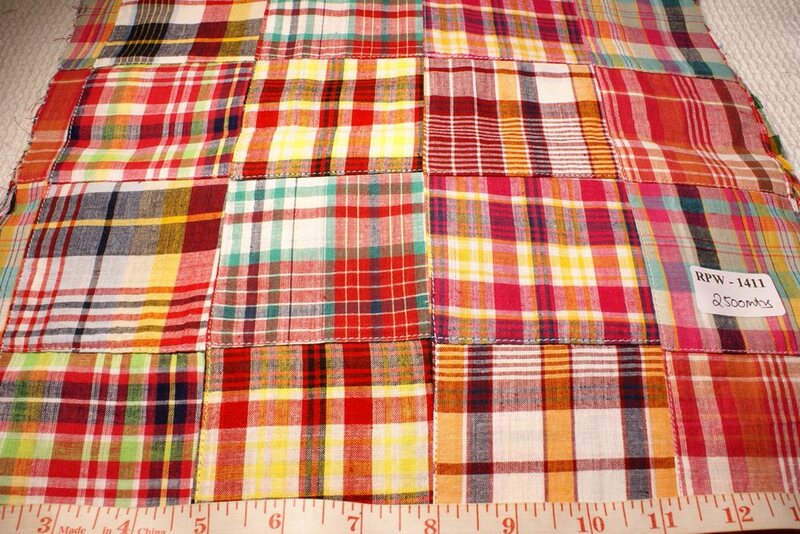 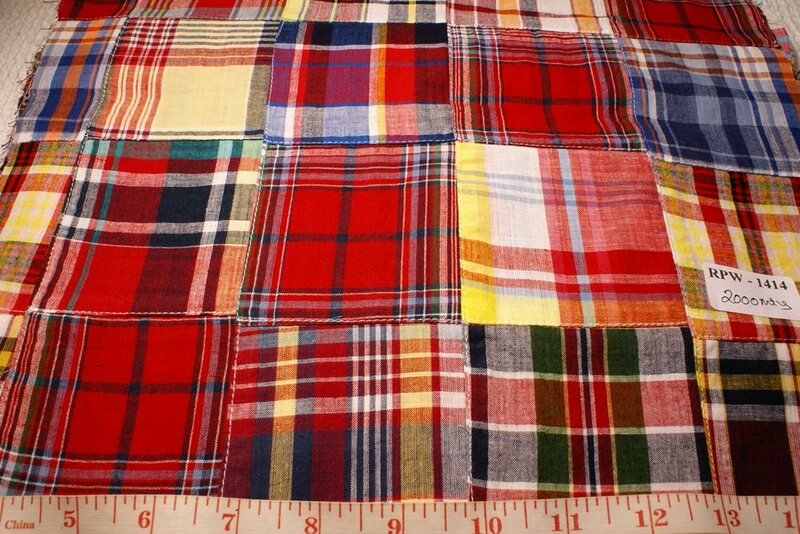 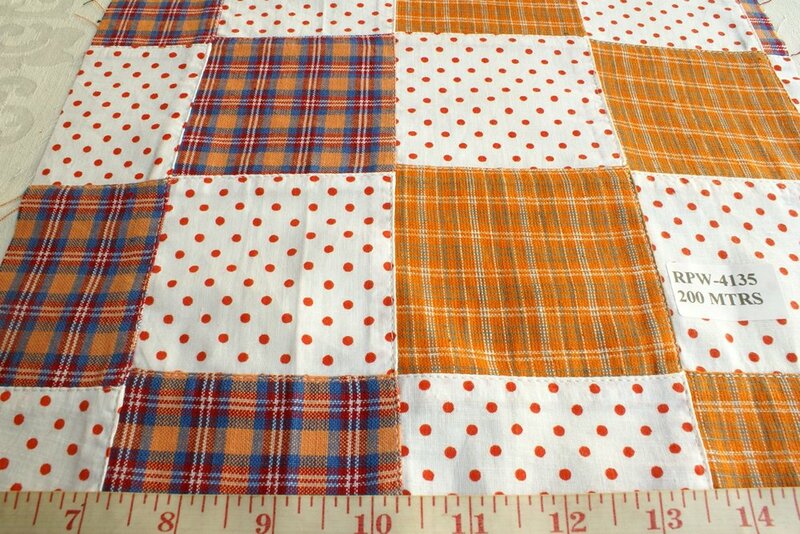 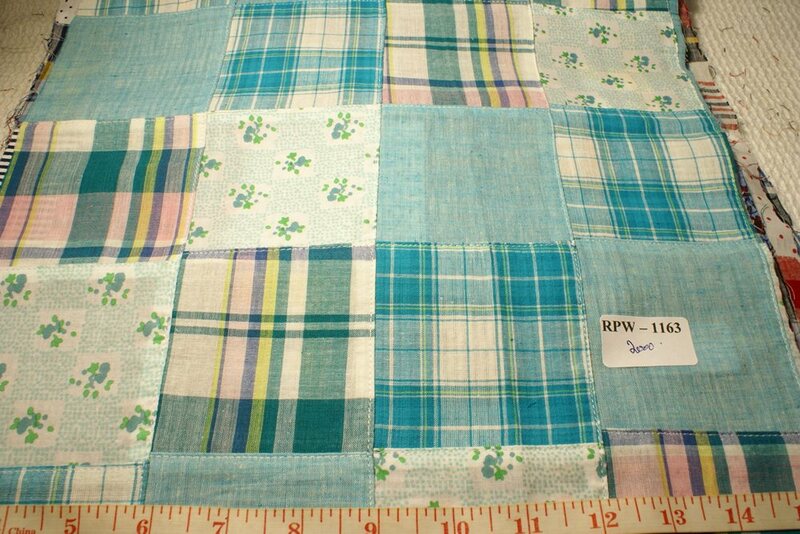 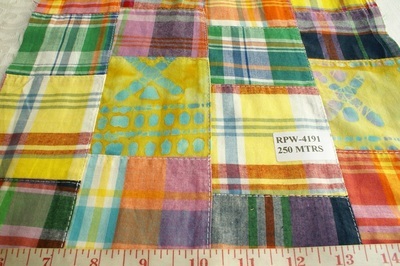 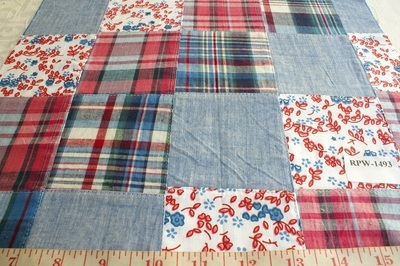 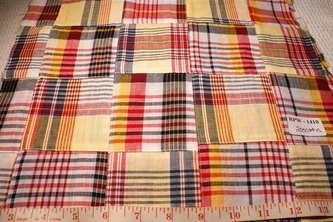 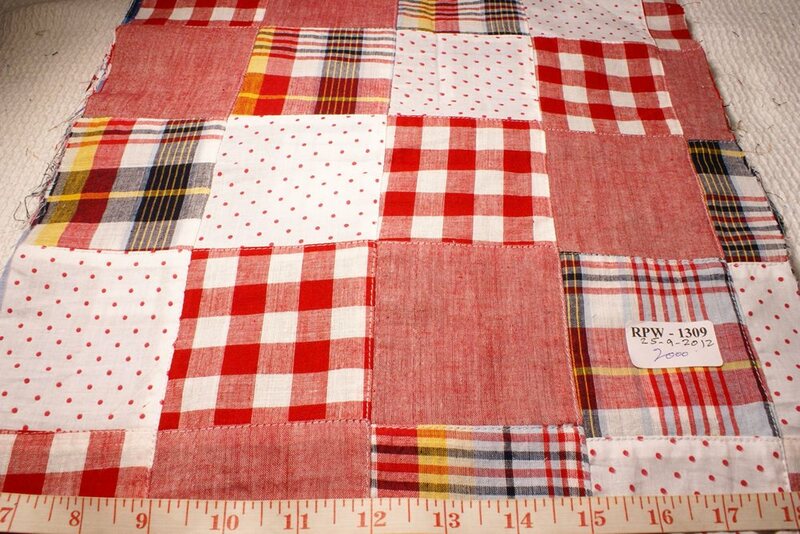 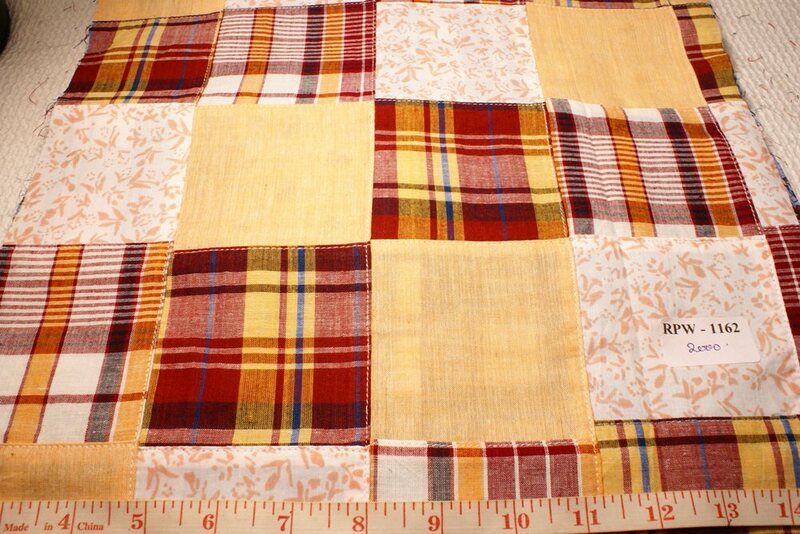 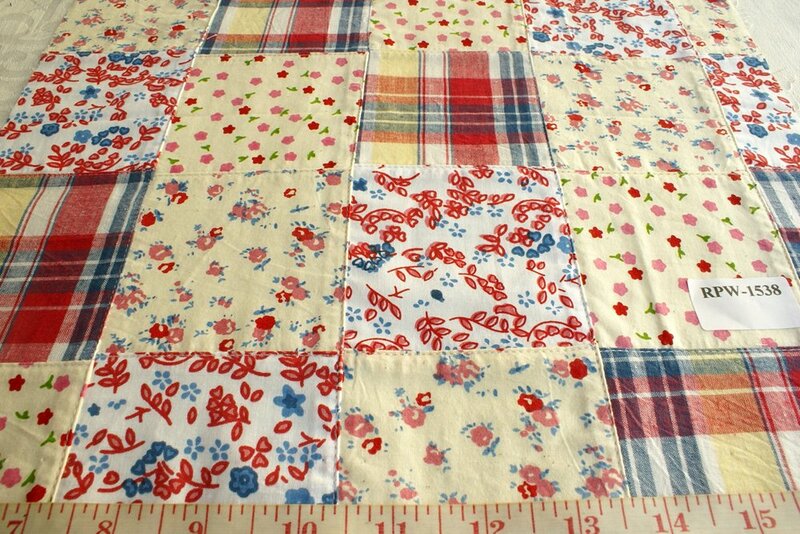 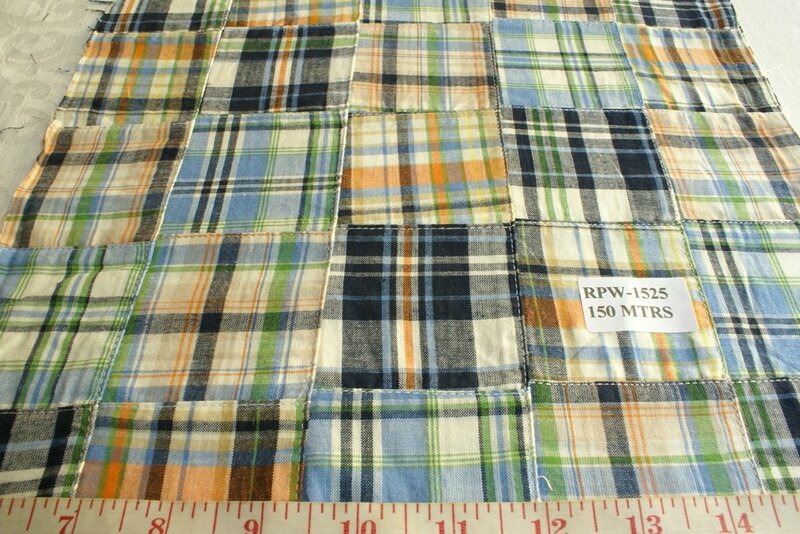 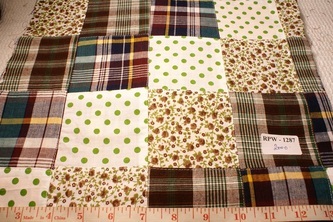 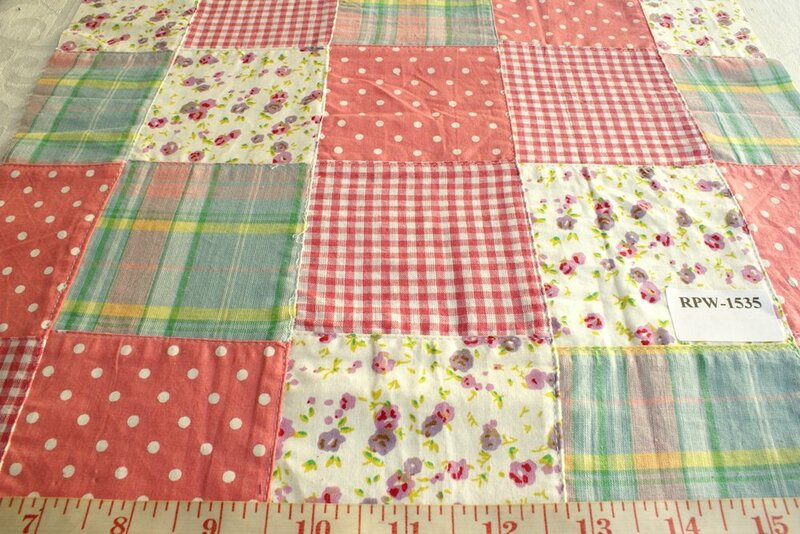 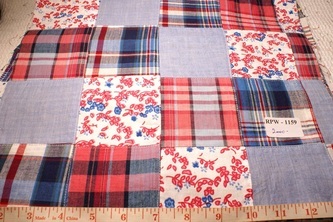 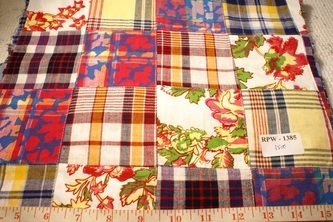 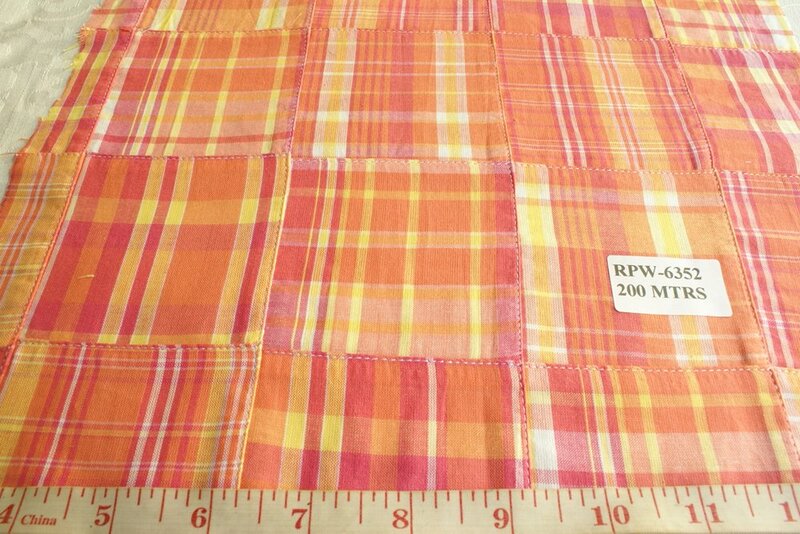 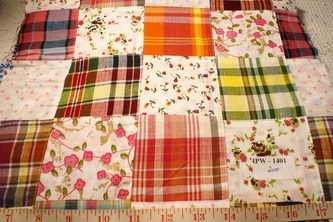 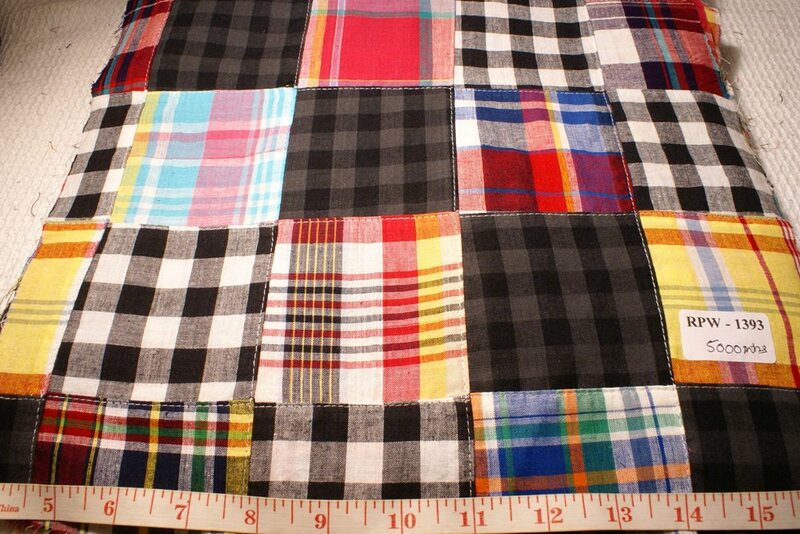 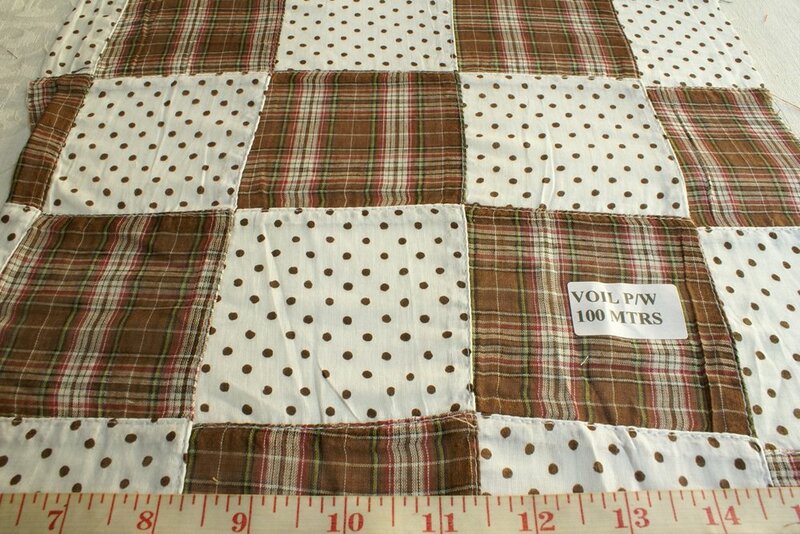 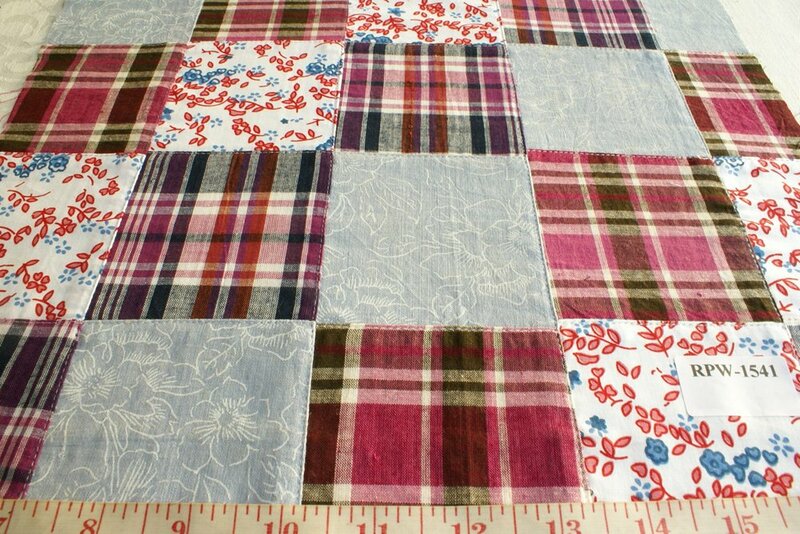 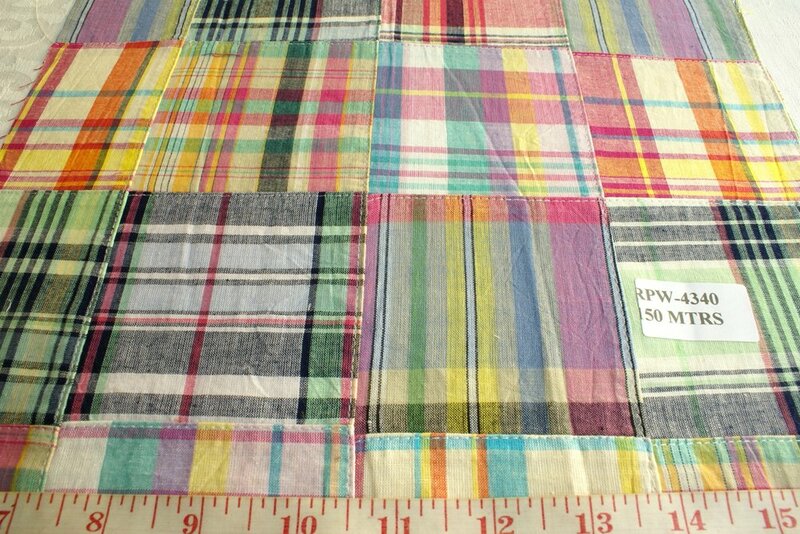 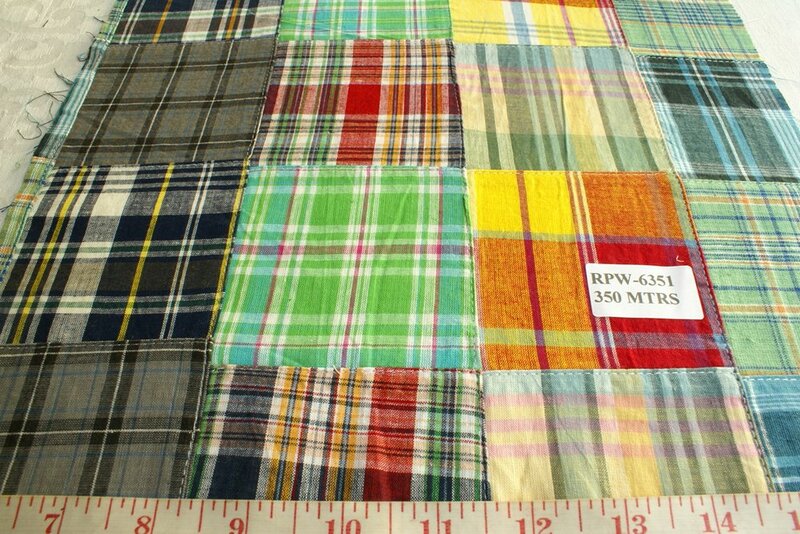 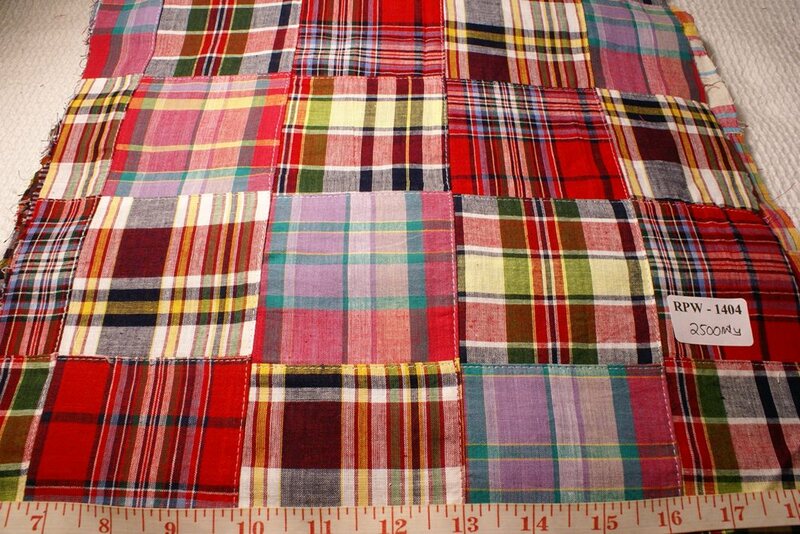 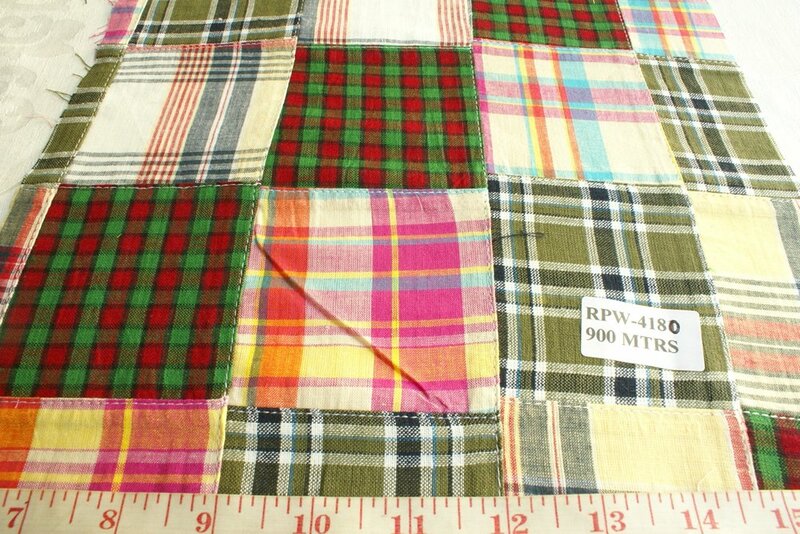 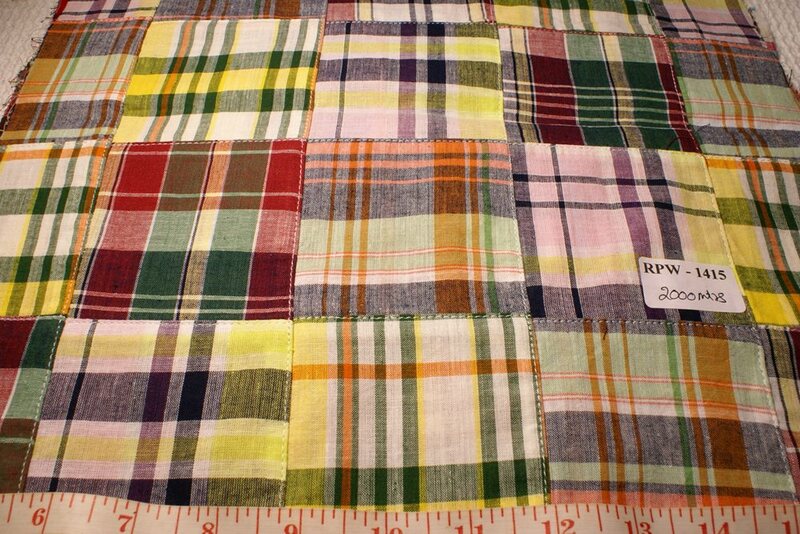 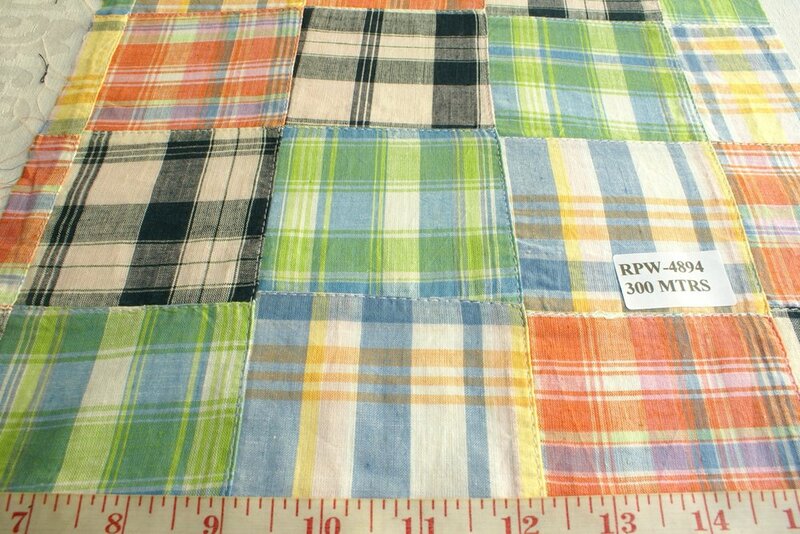 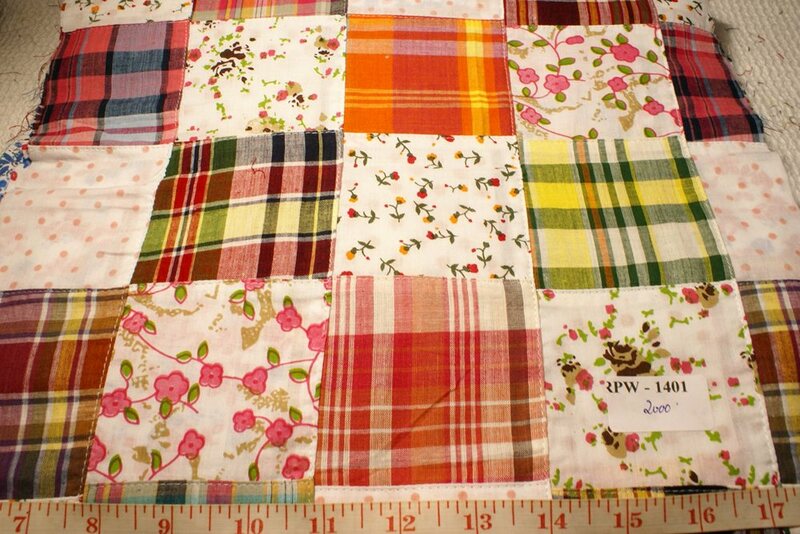 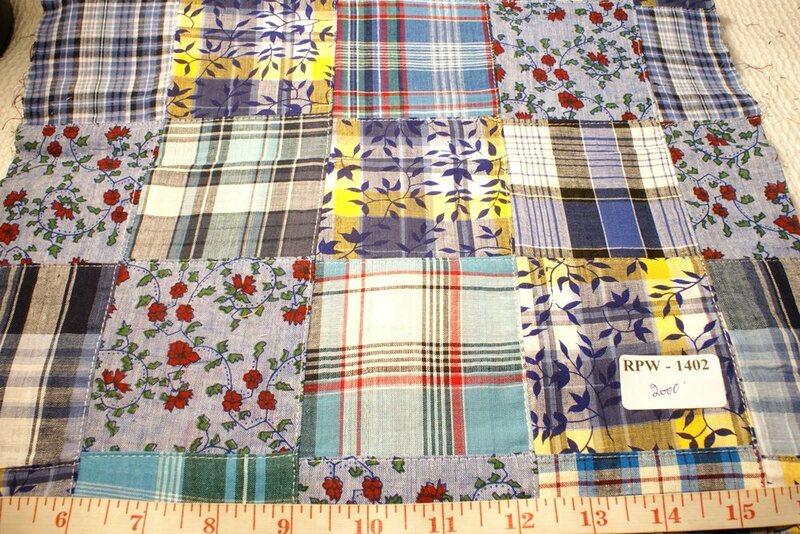 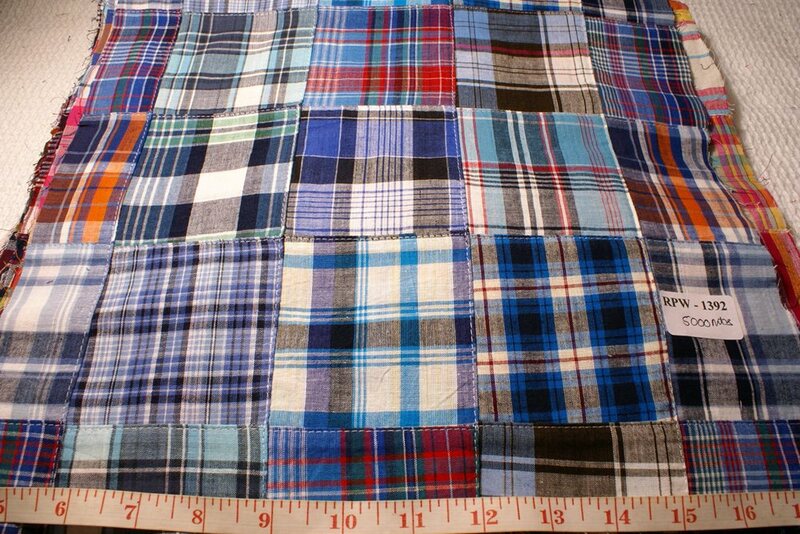 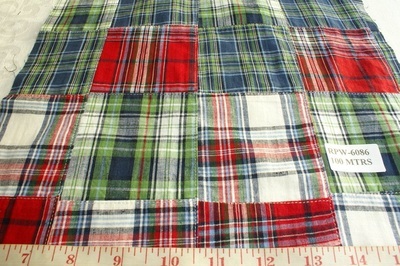 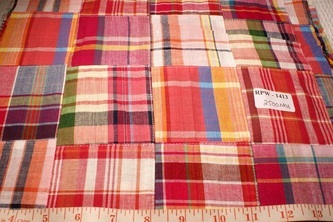 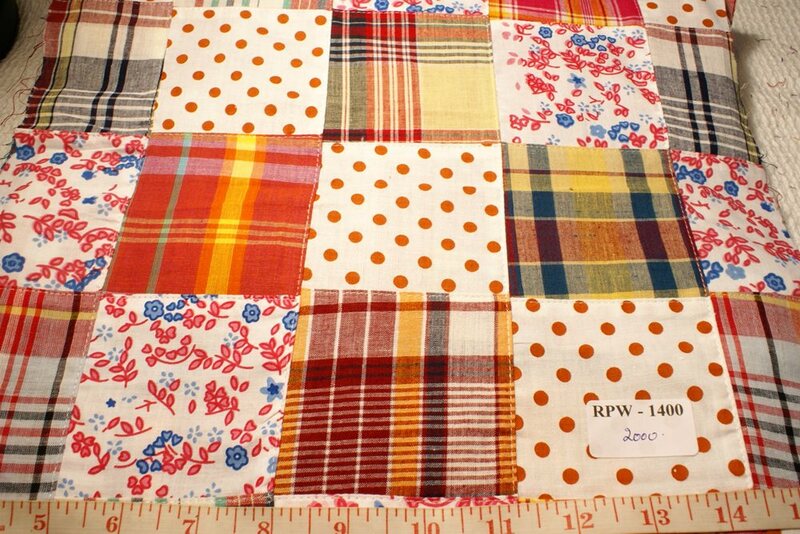 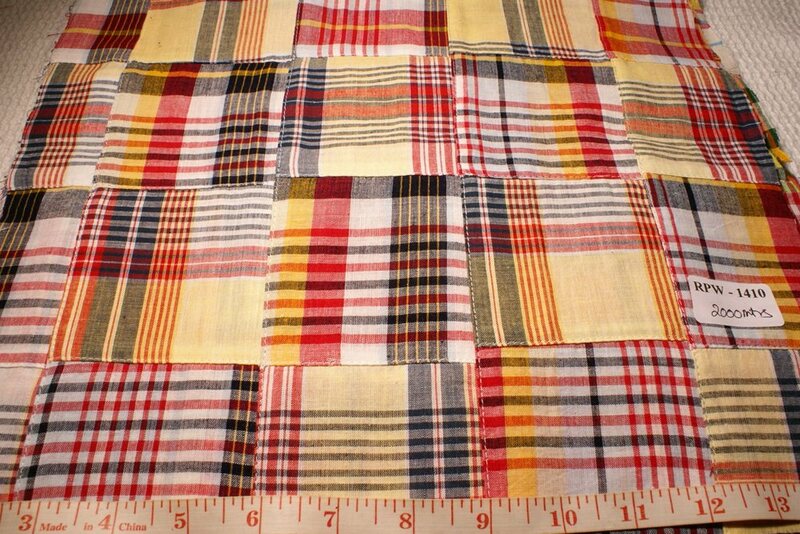 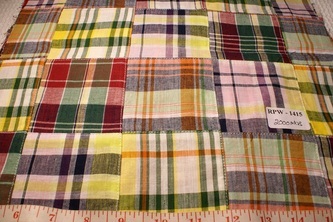 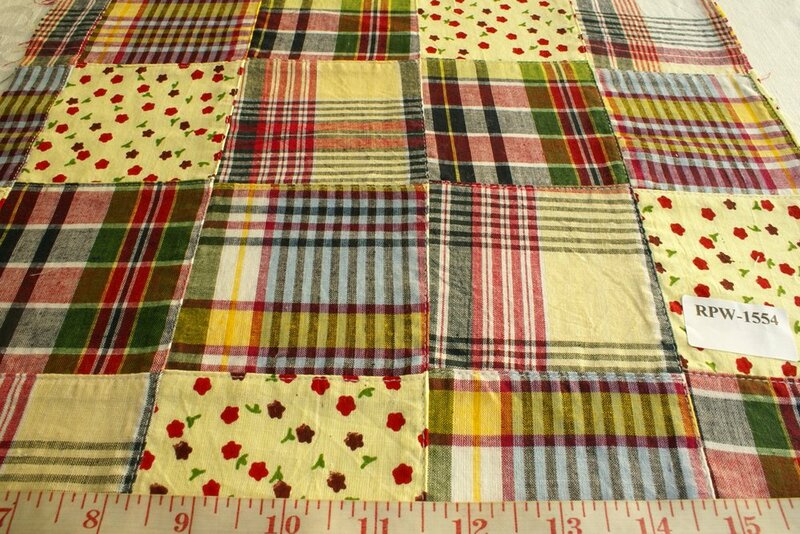 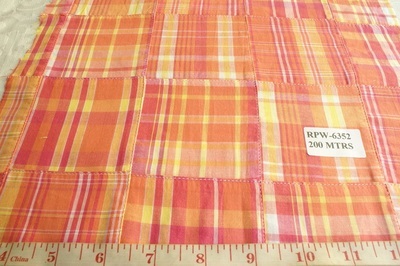 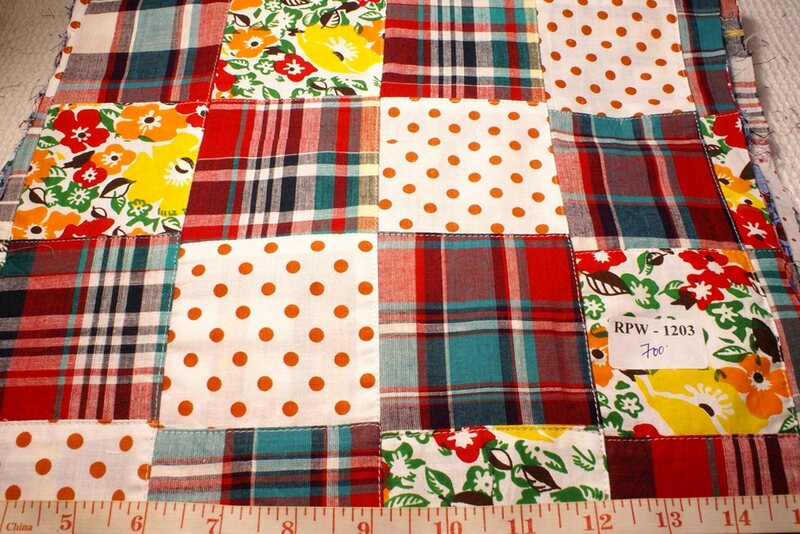 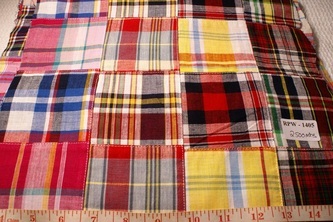 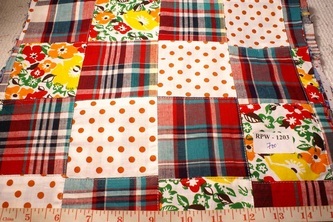 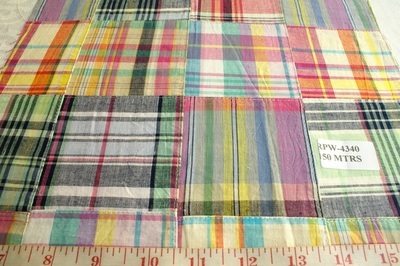 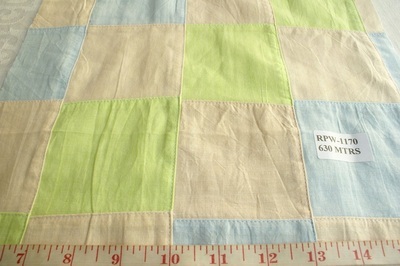 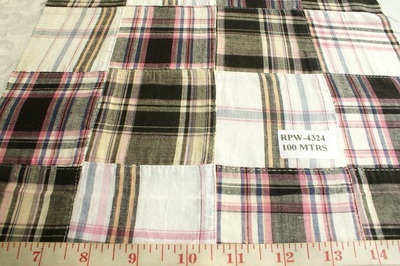 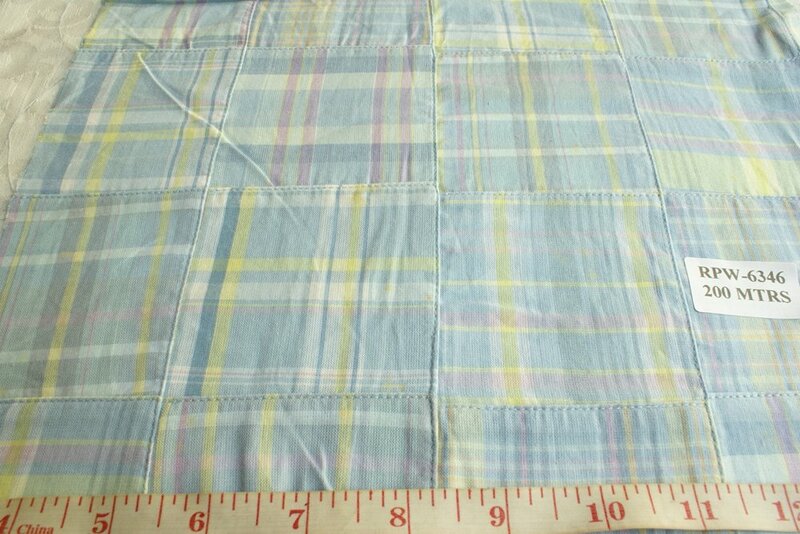 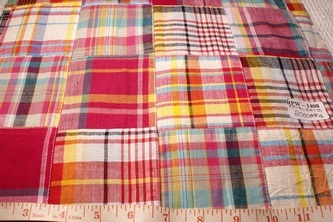 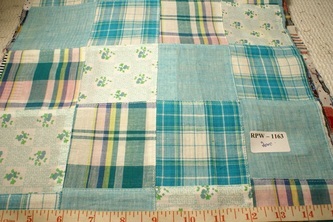 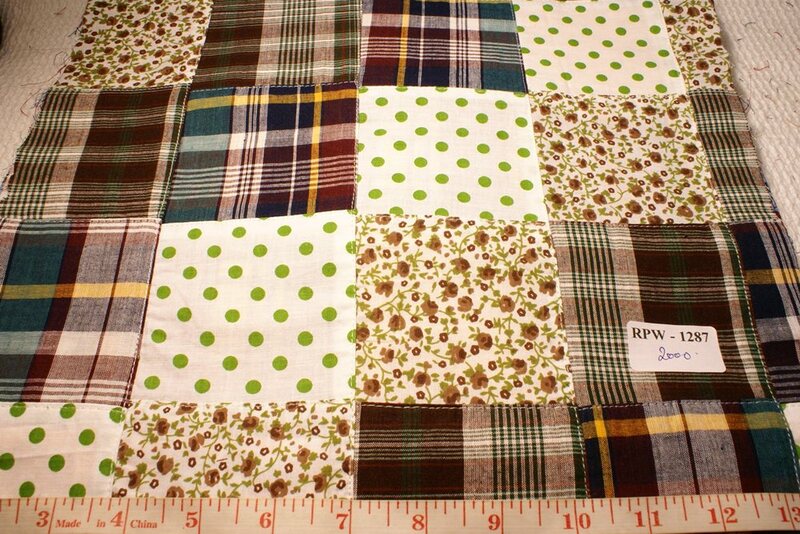 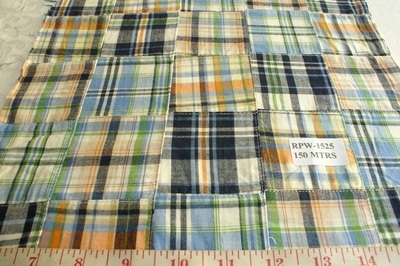 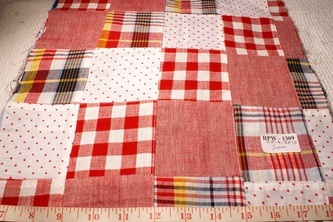 This is fabric made into patchwork squares, by cutting madras plaid fabrics into square strips, and stitching them together to form a patchwork fabric, which is a plaid patchwork. 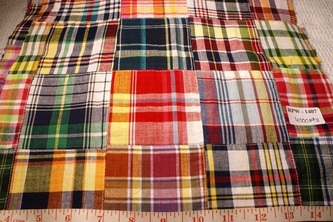 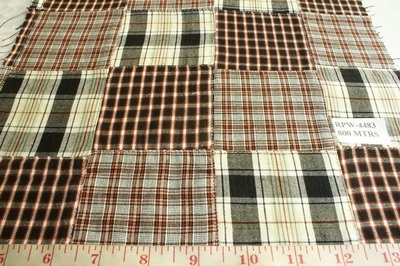 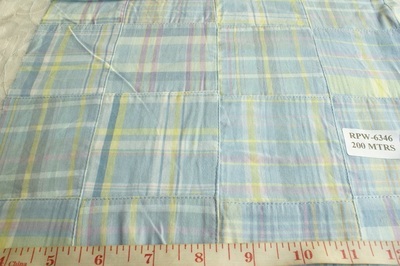 The base fabrics are 100% cotton plaids or checks, and are usually handloomed or mill - loomed. 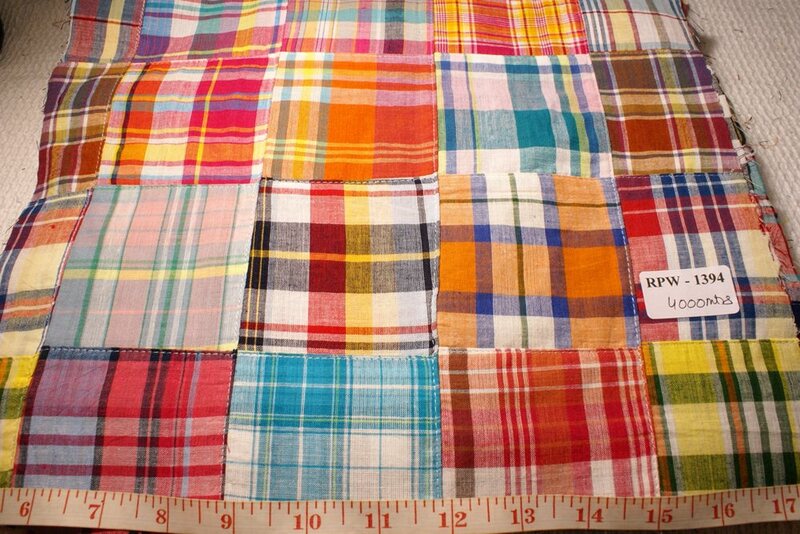 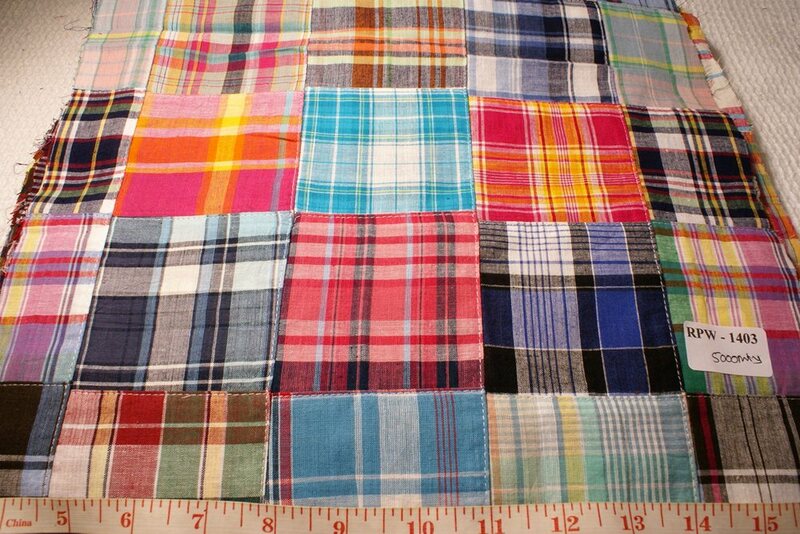 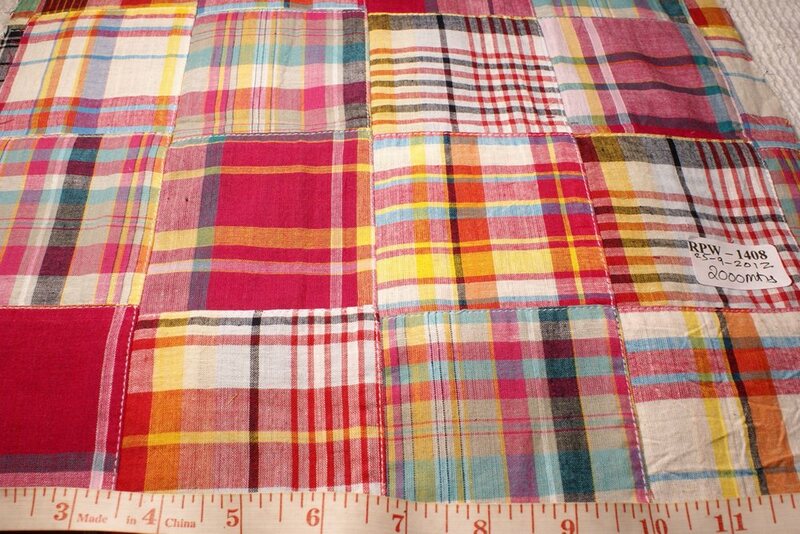 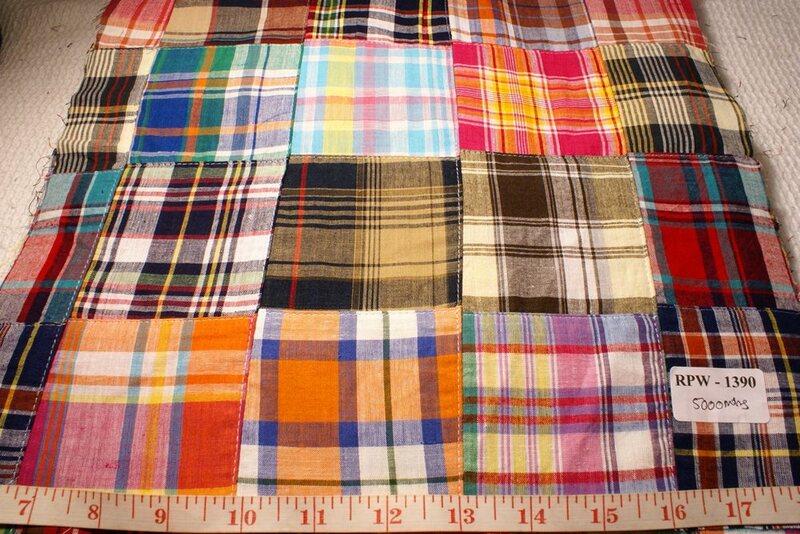 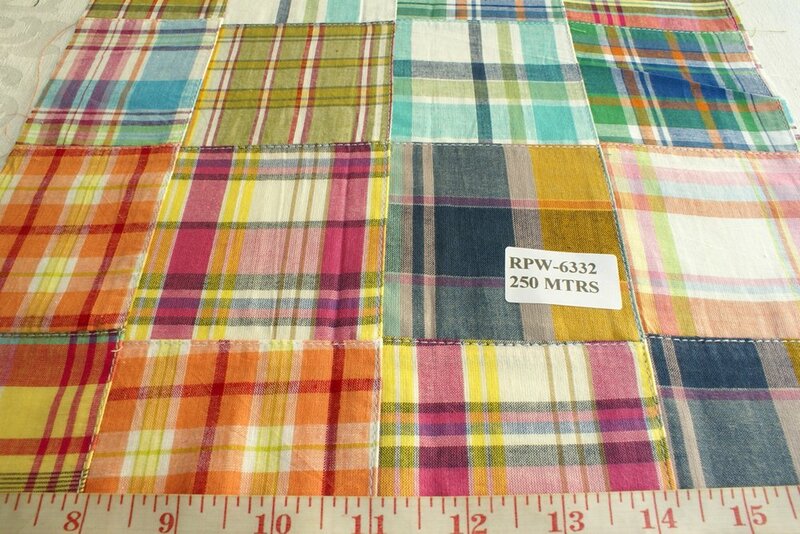 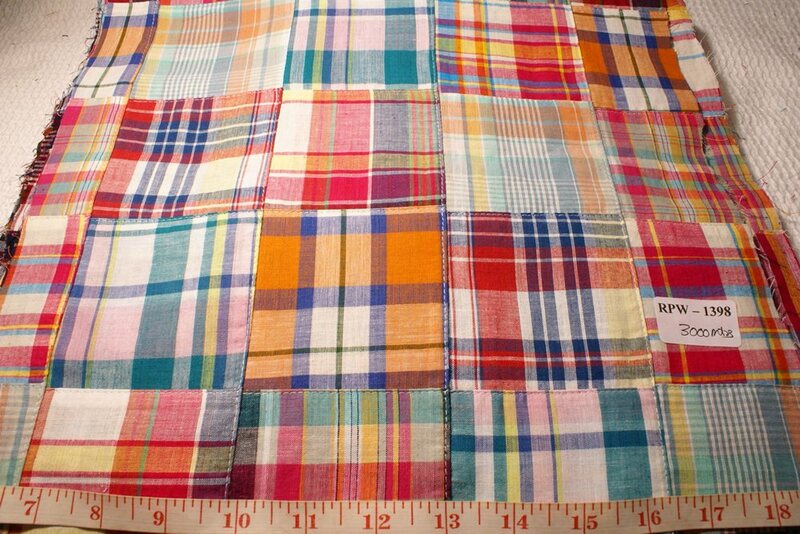 All our Patchwork madras fabric is made in India by cutting up plaid madras fabrics or check fabrics, and sewing different plaids together in a pre-determined pattern of adjoining squares of fabrics, mostly 3x3 inches wide. 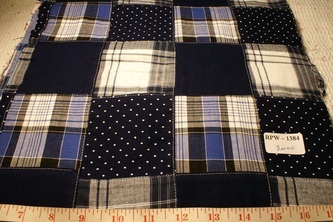 This is a classic preppy statement, and is ideal for preppy shirts, shorts, skirts, pants, sport coats and even pillows, bedspreads and accessories. 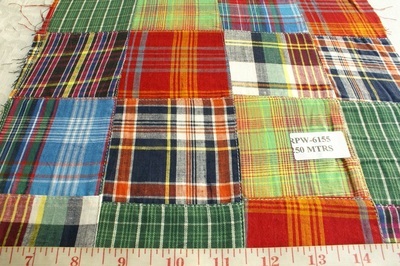 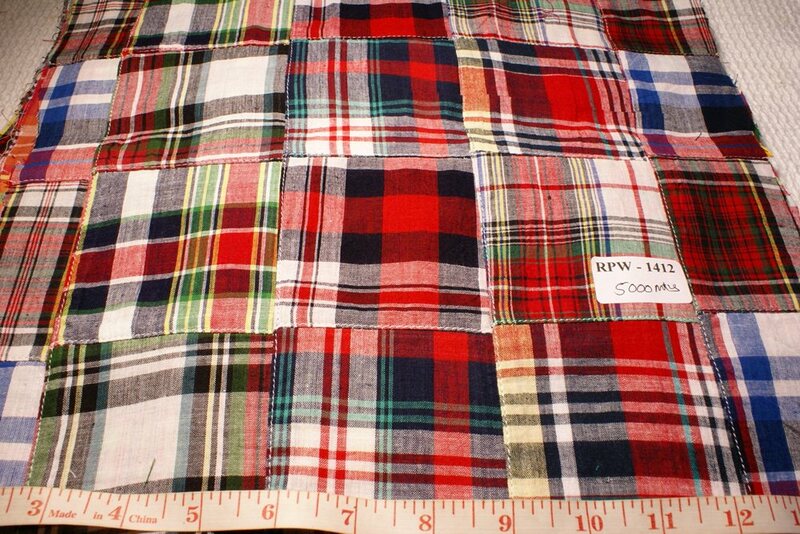 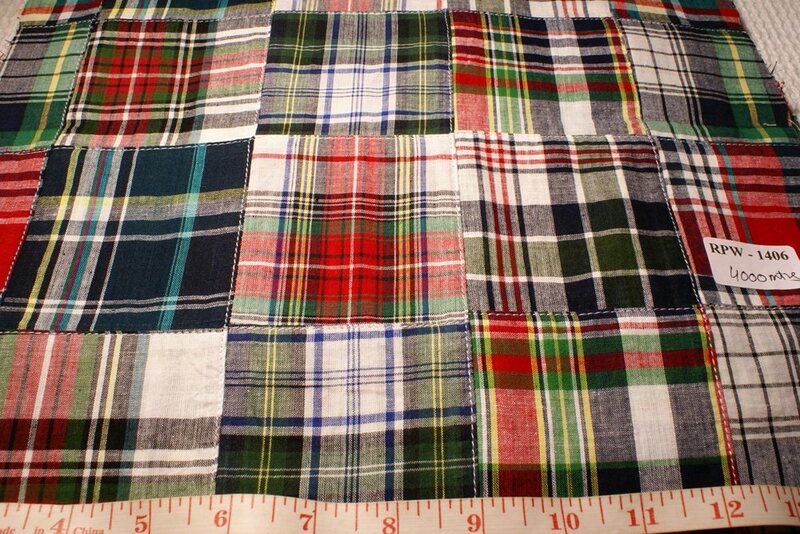 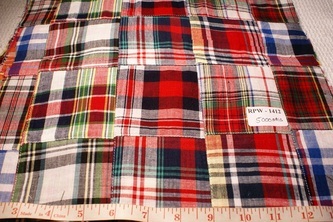 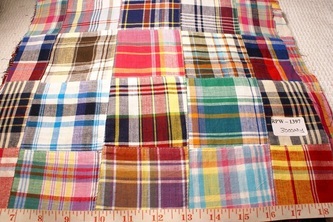 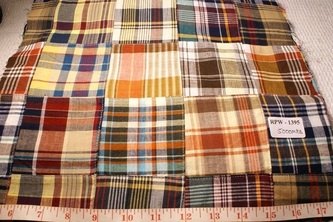 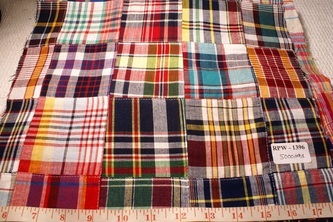 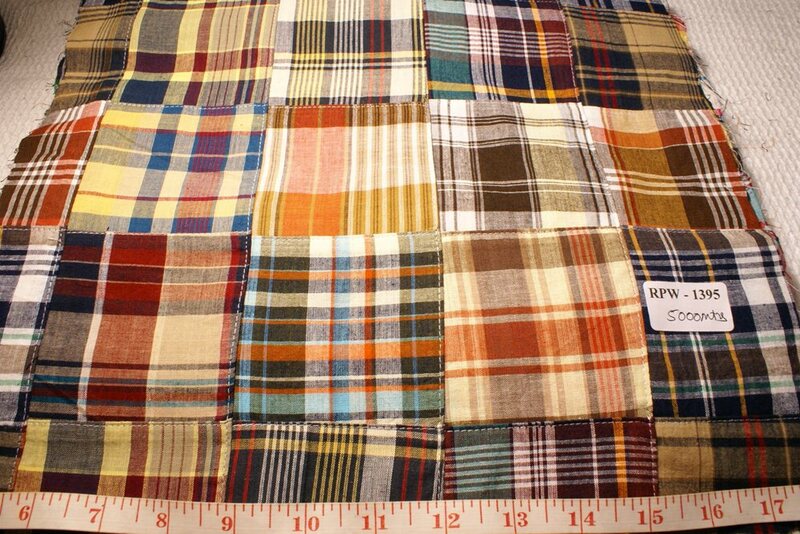 Atlantis Fabrics offers patchwork madras and madras plaid fabrics from at wholesale direct-from-factory prices as well as in retail to the public. 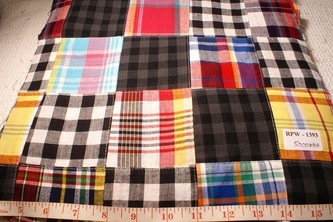 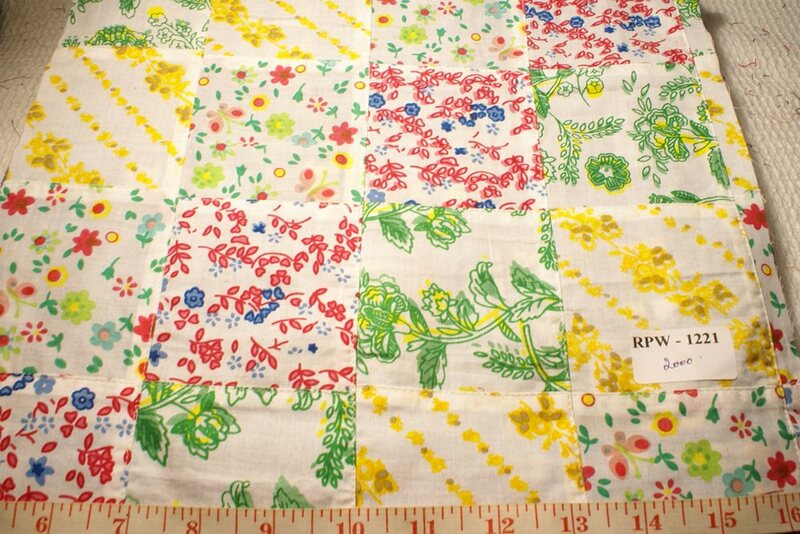 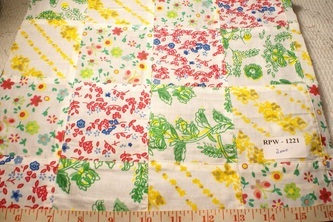 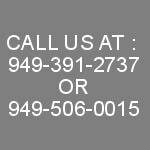 PRICE RANGE = $4 - $10 PER YARD, DEPENDING ON THE ORDER QUANTITY. 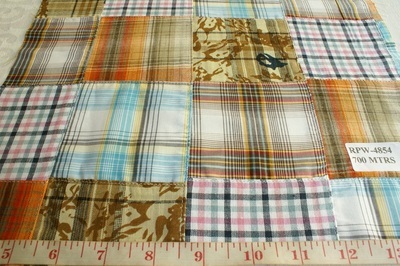 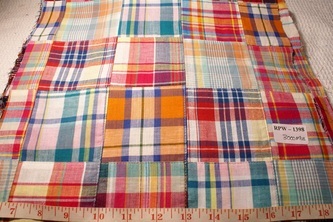 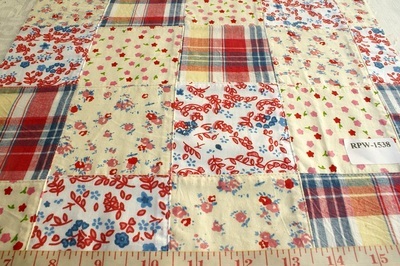 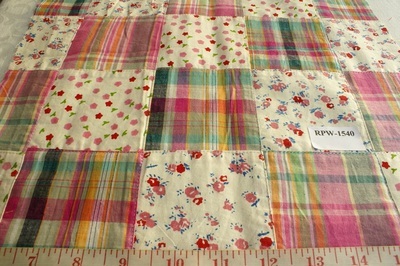 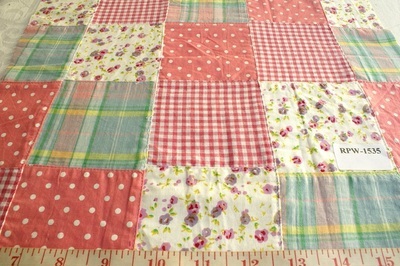 You can see some of our madras patchwork plaid fabrics in the gallery below.